WASHINGTON (CN) – Senator Tim Scott, R-S.C., on Thursday announced his opposition to Trump’s nominee for federal court in North Carolina, effectively sinking the pick due to the lawyer’s involvement with a political effort described as an attempt to intimidate African American voters. 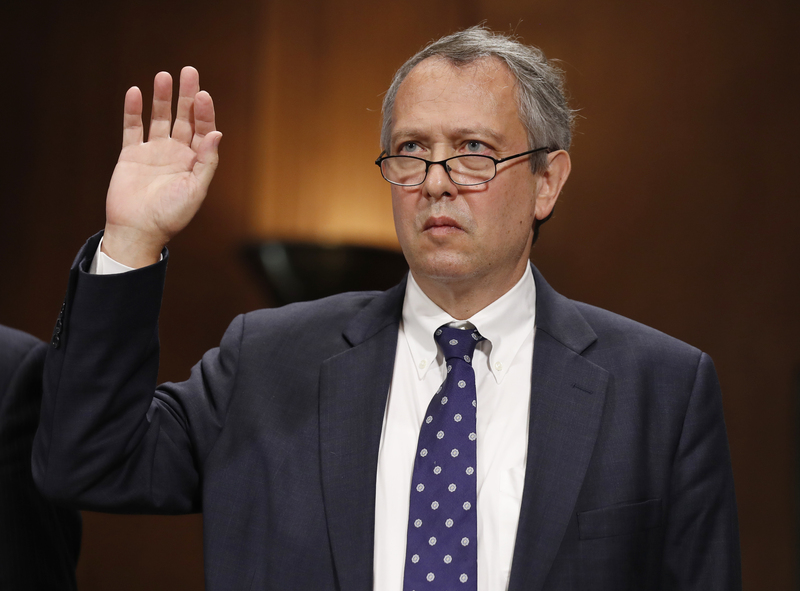 The Senate earlier on Thursday pushed back a scheduled vote on Thomas Farr, an attorney with the Raleigh, N.C., firm Ogletree, Deakins, Nash, Smoak & Stewart who is nominated to a seat on the U.S. District Court for the Eastern District of North Carolina. Farr worked on the 1990 campaign of Senator Jesse Helms, which sent out postcards with information about voter fraud that were criticized as an effort to intimidate African American voters. Farr has denied knowing about the postcards ahead of time and told the Senate Judiciary Committee that he played no role in drafting them and did not participate in any meetings in which they were discussed. In a statement Thursday to The State, Scott, the only African American Republican in the Senate, said after reviewing a Justice Department memo detailing the mailers he could not support Farr’s nomination. It is not the first time Scott has been the decisive vote against a Trump judicial nominee, as he was key earlier this year in sinking Ninth Circuit nominee Ryan Bounds, who faced scrutiny for racially insensitive writings as an undergrad. With a 51-49 split in the Senate, Republicans can afford few defections on controversial nominees. Farr’s nomination already required Vice President Mike Pence to break a tie on a procedural vote, thanks to united Democratic opposition and Senator Jeff Flake’s vow to oppose all judicial nominees until the Senate votes on a bill to protect Special Counsel Robert Mueller. But on Thursday, Flake said he planned to oppose Farr whether or not he gets his desired vote on the special counsel legislation, making Scott’s ultimate vote decisive in sinking Farr’s nomination.